The alternate strip-based iterative substructuring algorithms are preconditioning techniques for the discrete systems which arise from the finite element approximation of symmetric elliptic boundary value problems. 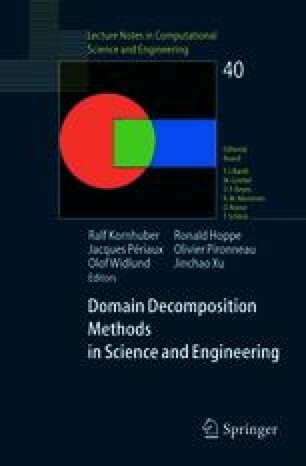 The algorithms presented in this paper may be viewed as simple, direct extensions of the two disjoint subdomains case to the multiple domains decomposition with interior cross-points. The separate treatment of vertex points is avoided by dividing the original nonoverlapping subdomains into strip-subregions. Both scalability and efficiency are enhanced by alternating the direction of the strips.